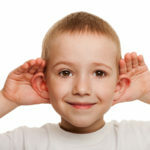 Last week I shared with you the importance of listening and specifically, what listening is not. This week, I want to complete the circle by talking about ‘How to listen’. The first thing to understand about this subject is that what we are really wanting when we share a story is for someone to receive us. To receive what is in our heart – not through their lens of how they see life, but simply to hear us the way we wish to be heard. The most powerful way I know to do that is via empathic listening. Before I learnt this skill I thought that when I listened, it was up to me to give advice or fix the problem for the other person. Now I know that simply bringing my presence and listening with my full attention is what is most important. When I am with that person, I am not anywhere else. What is going on for this person? In other words: What is alive within them. And this means that we are not listening so much to the story but more to the underlying message of what they really wish to share – the reason why they have taken the time to tell you their story – and what this comes down to at its core is listening for their needs. Is belonging what matters to them here? Are they concerned about keeping their dignity? Are they feeling the need for more acceptance? Is a greater understanding what matters to them in this situation? 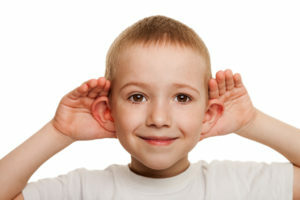 Listening for needs allows you to respond to someone’s story in an entirely new and more empowering way because it is not about solving their problem for them, it is about reflecting back to them what they already know about themselves so that they can gain greater clarity and insight. And so they know they are truly “got”. You might be right or you might be wrong – but the point is, you’re reflecting back your best guess and allowing them to come to their own conclusions. This is far more empowering for the storyteller and even better, it’s a relief for you as the listener because there is no longer any burden on you to fix anything! In my experience, this really is Enriching Life.